Call or Email us to Get A Quote! Ilyas travel is an independent firm offering you reliable and affordable minibus hire with driver services throughout the London. 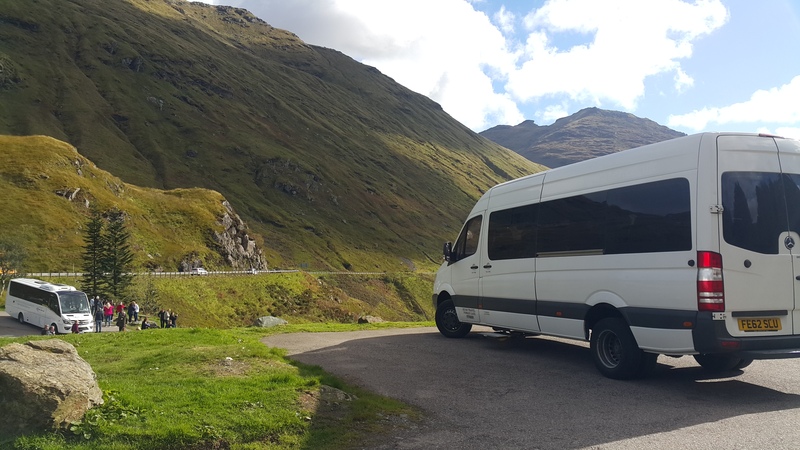 All of our minibuses are highly maintained and routinely serviced and inspected to ensure safety, comfort and reliability for our passengers. All adhere to the Ministry of Transport and Government legislation. We are a ground transportation company dedicated to providing a personalized first class, reliable and efficient minibus hire in London service to individual as well as corporate clients. Whether it's a transfer to the London airport, a day trip or a tour around Britain, our chauffeur driven minibuses are at your service. We offer minibus hire with driver, we have professional team of bus drivers ready to make your occasion pleasurable and trouble-free. Our minibuses are all late model. So if you need a minibus that is driven by experienced chauffeur, then Ilyas Travel should be your first choice. If you're thinking about going to anywhere in a group, don't take two or three cars, hire a minibus with driver! We have special Minibuses that help you to reach to your destination on time safely. Our modern fleet is maintained by specialist technicians in extensive modern workshops to ensure total safety and reliability. Please fill the form with your correct details and we will get back to you asap. © 2017 Ilyas Travel. All Rights Reserved. Developed by Web Buds.